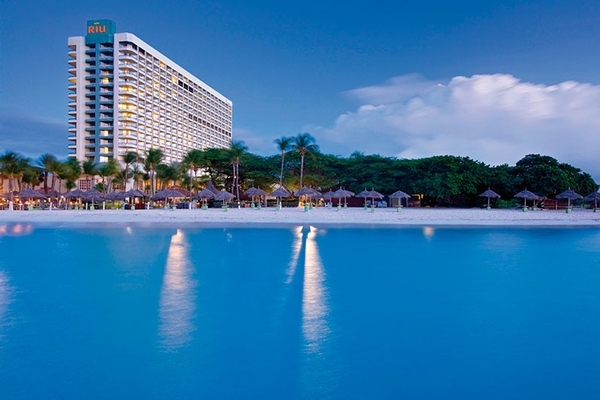 Aruba is one of the most popular honeymoon destinations with couples. The miles long beaches of Aruba have quiet retreats, water sport havens and turquoise waters for couples of all kinds. 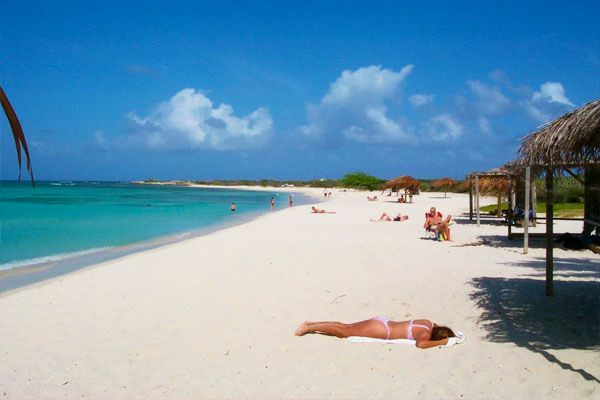 The beaches of Aruba are also considered the widest, cleanest and most fascinating in the Caribbean region. Relax in the comfortable lounge while water-skiing, snorkeling, swimming, parasailing, and all kinds of wet and wild adventures. Besides the beaches, there are also many secluded and underdeveloped areas. There are caves carved out of limestone, craggy desert terrain, and other unique natural phenomenon. Both the coasts offer spectacular views. Here are ten of the most popular attractions in the Aruba Island. 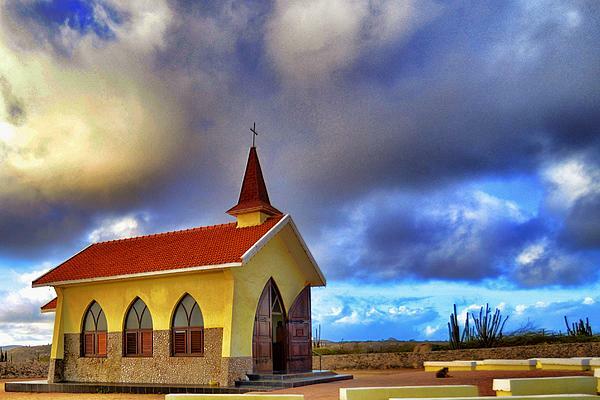 The Alto Vista Chapel, located on the north shore of Aruba is the most popular tourist attraction in Aruba. It was built by Domingo Antonio Silvestre in the year 1750. 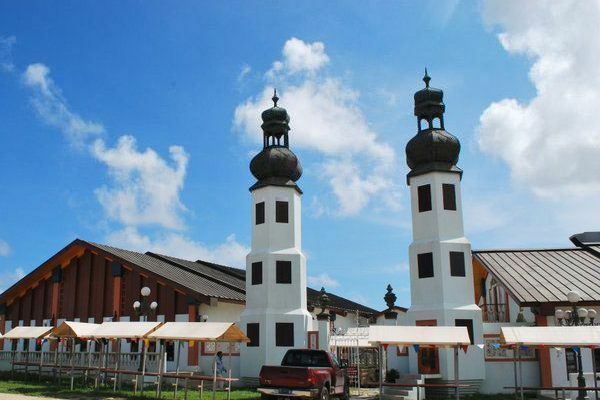 It is also known by the name “Pilgrims Church”. If you want peace and contemplation, then Alto Vista Chapel is must visit place for you. Alto Vista Chapel is also the starting point for mountain bike rides and walks. The building is swamped with tourists, so it may take a while for you to take the snapshots and move to the next attractions. You can also attend the mass that is held every Tuesday evening while listening to the waves crash on the rocks. The Antilla is a wreck in the South Caribbean. It is the most famous diving sites in Aruba. The ship was built for Hamburg Amerikanische Packetfahrt Actien Gesellschaft, a German firm. Everything that lives under the sea can be seen from here. The Antilla is a perfect place for indulging in insane water activities. But make sure you are not faint hearted. The Arashi Beach is a narrow stretch of beach between California Lighthouse and Malmok. This quiet and serene place boasts of abundant underwater life and gentle currents, making it a perfect spot for snorkeling in the Caribbean. Arashi Beach is also the resting point for the German freighter Antilla. Another treasure found in this place is the Elkhorn coral. But there are no accommodation facilities available here except for the beach huts for shade and several palapas. The Arashi Beach is accessible by Malmok by taxi. Or you can take a 10-minute walk to the Arashi Beach. 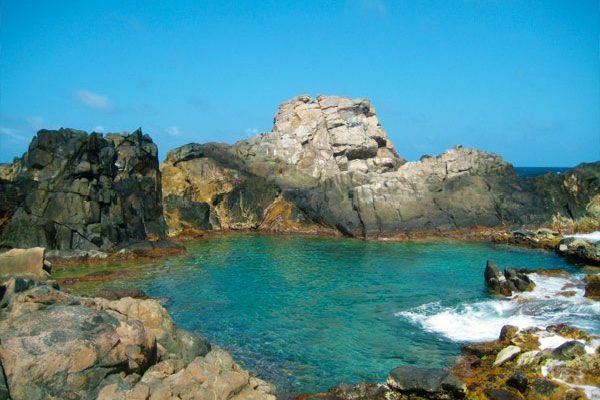 The Natural Pool, also known as Aruba’s hidden pool, is another place worth visiting in Aruba. It is protected by the rough sea located in the National Park Arikok. The unique formation of rock circles a small depression, creating a tranquil pool known as “conchi”. The place is excellent for diving, snorkeling, and swimming. But it is not recommended to swim here when the waves are too high as it can be very dangerous. You’ll need a 4×4 vehicle to reach the Natural Pool, as it is inaccessible by car. 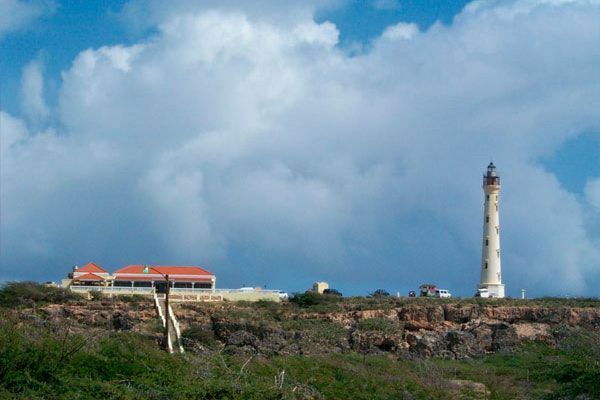 The California Lighthouse was built to warn ships from the Aruba coastlines. 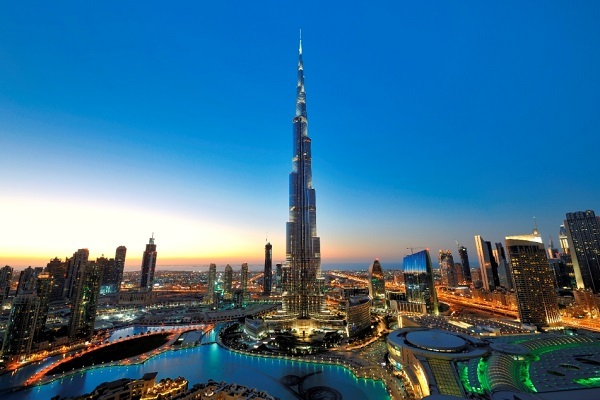 It is now an impressive landmark for tourism. The lighthouse is named after the ship “California” that wrecked nearby. Standing more than 90 feet high, the California Lighthouse gives outstanding views of the north coast, sandy beaches, rocky shorelines and the sand dunes. The sunset is the perfect time to visit the lighthouse to witness the huge orange ball dipping into the Caribbean Sea. The Lighthouse also provides refreshments, or you can enjoy a romantic dinner at the Faro Blanco Restaurant. But the lighthouse building is not open to the public. If you want to encounter nature in all its beauty and diversity, then you must visit the Butterfly Farm. The tropical garden teems with butterflies from all around the globe. So be prepared for seeing some of the most unusual butterflies in the world. You can also witness the life cycle of butterflies from egg to caterpillar to butterfly. 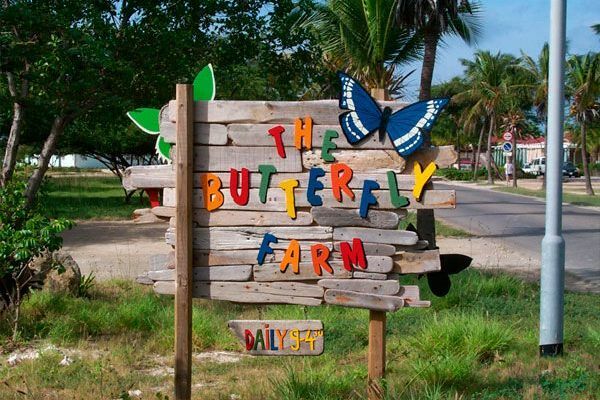 The tour guides of the Butterfly Farm will entertain you with the butterfly habits and metamorphosis. If you arrive early, you can view the new butterflies emerging from their chrysalis and taking their first flight. It will be a delight for visitors of all ages. The Bubali Bird Sanctuary has a money back guarantee. Yes, the entry is free, but the guarantee in on as the small area has become the breeding and resting area for more than 80 species of birds. 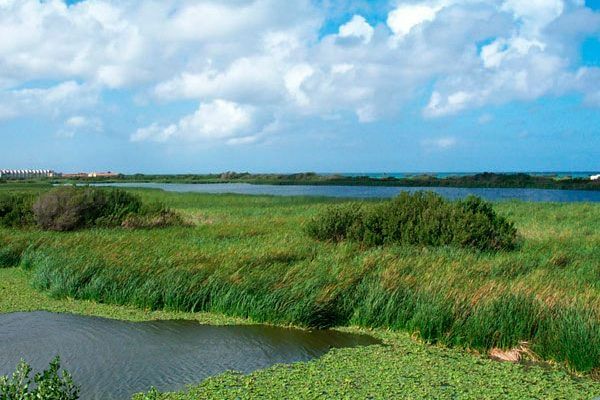 The Ministry of Tourism of Aruba has also proposed the idea of establishing Bubali Ponds to increase the water circulation of the sanctuary. The migratory birds find an oasis in the bird sanctuary. Some of the birds inhabiting the sanctuary include gulls, coots, egrets, cormorants and numerous species of ducks. You will get a bird’s eye view from the observational tower. Do not forget to bring your camera to the Bubali Bird Sanctuary. You do not always have to go digging for the buried treasures. The Louis XV Antiques & Curiosities has put it on display for you to go through. The place offers one of a kind treasures to admire. You can even take some of the treasures back home with you. The Louis XV Antiques & Curiosities is situated in the Rococo Plaza building in Tanki Leendert. Even the building is a charm in itself as it has antique materials from the 17th century. The onion shaped towers would surely amaze you, and so will the 23 showrooms of unusual items from Aruba, Europe, and America. The museum also boasts of handmade items like beautiful paintings, statues, carved furniture and Persian carpets. The museum is open from 9 a.m. to 5 p.m. every weekday and 10 a.m. to 2 p.m. on Saturdays. 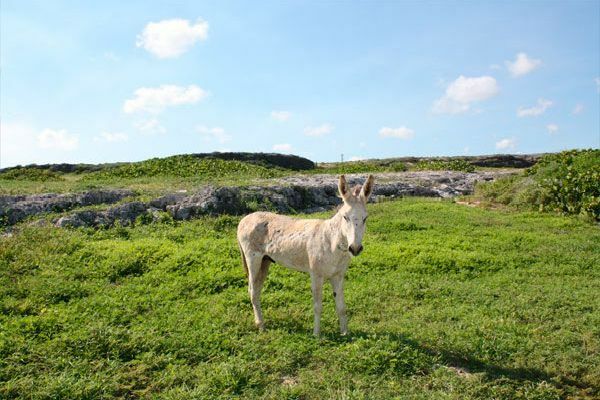 The Donkey Sanctuary is another place that you must visit on your trip to Aruba. You will be overwhelmed by the cute donkeys in this sanctuary. The Donkey Sanctuary is a non-profit organization dedicated to saving the island’s donkey’s and educating the locals and tourists of their care. In the earlier times, donkeys used to be the primary mode of transportation in Aruba, but now most of them lie sick and injured. Only the lucky ones receive shelter and care in this sanctuary. Even these docile animals are very eager to interact with people, especially when you bring treats for them. If you get apples and carrots for them, then these donkeys will be your friend for life. The Donkey Sanctuary is open for publics from 9 a.m. to 3 p.m. 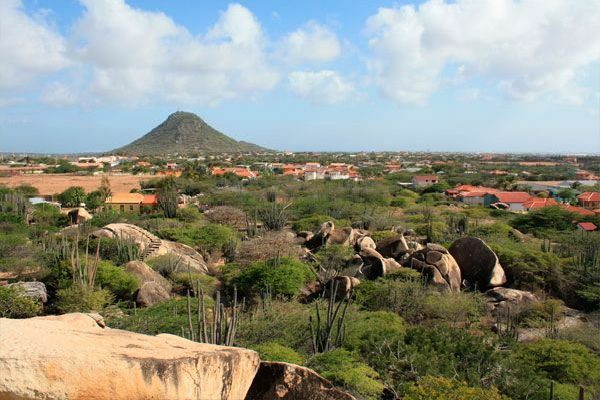 The Arikok National Park of Aruba has plenty of plants and animal species. It is not less than a national treasure for this region. The Arikok National Park is an excellent place to enjoy the dramatic landscapes. The small entry fee that you play will go towards the preservation of the national park. The Visitor’s Center in the national park exhibits the endemic animals of Aruba like the rattlesnake, the Aruban whiptail lizard, and Aruban cat eye snake. 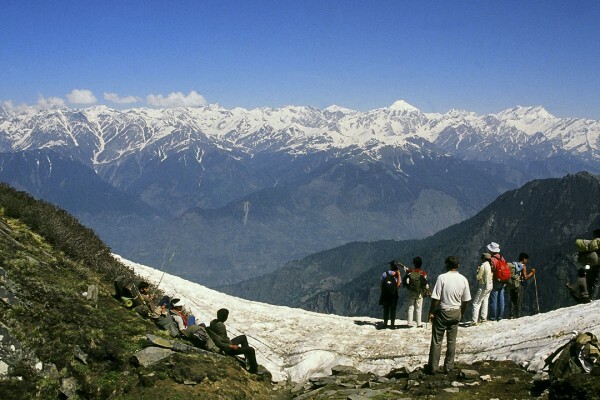 There are also many guides to help you see the flora and fauna of the national park. Moving through the Arikok National Park is also easy by cars. You can also go hiking or horseback riding here. There are many sightseeing locations on the Aruba Island, so it will take at least three weeks to explore Aruba. So take a long break from your office. And remember, the sun in Aruba is very strong between 12 pm and 3 pm, so do not forget to carry your sunscreen and bottles of water.